Do you grow pecans? Have you noticed issues with the nuts falling from the tree in summer following pollination? Nut trees can be affected by pecan stem end blight, a disease you’ll want to get ahead of before entire crops are lost. This fungus normally attacks during the water stage of growth and progresses. If you look inside, before the shell forms, you’ll find a brown liquid, not at all appetizing. Not all nuts will be affected, but enough that your harvest can be severely lessened. Sunken, black, shiny lesions appear and spread to the shuck, the result of stem end blight of pecans. The fungus, Botryosphaeria dothidea, thought to contribute is spread by insects as they feed on the nuts. Pecans with stem end blight are sometimes found in clusters where other nuts are developing normally. Stem end blight treatment is not always effective and sometimes does not work at all. 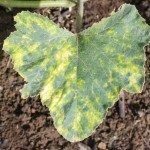 Foliar fungicide treatment can sometimes get the fungus under control but is best applied in winter for prevention and to save your whole crop. Summer control rarely eradicates stem end blight but can slow it down. Sprays with benomyl-type fungicide are found to work best. Proper care of your pecan trees is the best way to prevent attacks such as this and from other fungus and disease. You may also plant disease resistant trees when replacing those in the orchard. Keep trees healthy, providing good drainage and apply appropriate fungicide treatments at the right time. This lowers susceptibility of your trees to pecan stem end blight. Spacing trees far enough apart to offer good air circulation is important in avoiding the fungus as well. And, again, do appropriate spraying to keep your valuable trees protected from all fungus, pathogens, and disease. Don’t confuse fruit drop from stem end blight of pecan with other problems that cause nuts to fall off the tree prematurely, such as shuck dieback on Success and Success hybrids.